Nanga Parbat was first climbed in winter in 2016, and this spring Tom and Daniele had been attempting a new route. 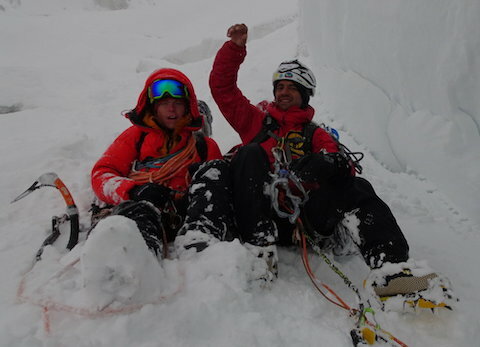 On February 24th, the pair reported to their ground team that they'd reached 20,670ft on Nangar Parbat. They added, "The weather is not good, there is fog, sleet and wind gusts." Then satellite and radio communication with the pair went ominously silent and the rescue operation began. Regular rescue updates were posted on Nardi's Facebook page. After delays due to bad weather, and the closing of the Pakistani airspace due to tensions between Pakistan and India, helicopter searches for the men began. Their orange tent was soon spotted - it had been swept away by snow and ice fall - but there was no sign of Tom and Daniele. Crowd-funding raised nearly 150,000 Euros in 24 hours to extend the rescue attempt - the helicopters cost roughly 50,000 Euros per day - and the bodies were finally spotted in a passage between rocks. "It's better to live one day as a tiger than a thousand years as a sheep"
Tom's relationship with serious climbing began three months before he was born, when his mother, Alison Hargreaves, climbed the North Face of the Eiger whilst pregnant. Two years later his sister Kate came along. At weekends, Tom's father, Jim Ballard, would often watch the children while Alison snuck off to climb for a few hours. In the summer of 1993, the family packed up for an alpine summer holiday with a difference: during the trip Alison became the first person to solo the six great north faces of the Alps in a single season. In 1995, the family moved from Derbyshire to Fort William in the Scottish Highlands and Alison began training in earnest. That year, she summited Everest alone and without oxygen, sending her family a radio message from the summit: “I am on the highest point of the world, and I love you dearly.” She was the second person after Reinhold Messner to achieve the feat. A few months later, Alison also summited K2 but tragically perished in a storm on the way down, aged 33. A few days before she died, fellow climber Matt Comeskey had recorded an interview with her at base camp: you can read the fascinating transcript of the cassette tape on the Independent website. In the interview, Alison gives insight into the conflicts of life as a mother and a professional climber, describing her disillusionment with climbers collecting peaks to collect sponsorship, and talking about how her climbing career helped pay her mortgage and feed her kids. She also aired her next ambition: Kangchenjunga, the world's third highest mountain. Given the time she had already spent away from her children, however, she said that she wanted to take them with her to base camp. Following Alison's death, a media backlash criticised her choice, as a mother of young children, to put herself in harm’s way. The fury highlighted the fact that male mountaineers were rarely criticised for doing the same. In stark contrast, for example, a glowing obituary of Paul Nunn, who died in the Himalayas days before Alison, simply referred to his children in brackets at the end. In a 2002 Guardian interview, Jim Ballard responded to the criticisms: "How could I have stopped her? I loved Alison because she wanted to climb the highest peak her skills would allow her to. That's who she was." When Jim broke the news to Tom and Kate, then aged six and four, Tom asked if they could go to K2 to say goodbye, and Jim agreed. The expedition into the Karakorum range of the Himalayas was recorded by filmmaker Chris Terrill, who is renowned for his solo filmmaking abilities. Chris, who became a family friend after making this poignant trek with the family, recently told the BBC, “It was an extraordinary expedition and it ignited something in Tom”. It was also the start of Jim's shift towards supporting his children's mountain dreams, instead of Alison's. "Even before I was born I climbed the North Face of the Eiger. So I think it’s not much a surprise what I do now"
"When Alison and I had children," Jim says, in the video below, "We both decided that no matter what happened, we would allow them to have an adventurous life." 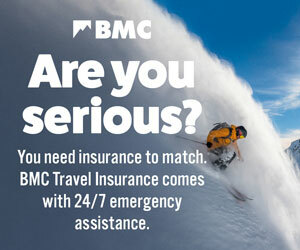 Tom and his sister both developed into very accomplished climbers, skiers and snowboarders. Tom recalls being 10 years old when he decided that all he wanted to do was climb. Ten years later, in 2009, Jim, Tom and Kate packed their furniture into storage and, with a white van full of stuff, set off for Europe. That year, aged 20, Tom made the first free solo ascent of the Scottish Pillars on the Eiger and also put up a new 900m route, Seven Pillars of Wisdom. Kate, meanwhile, qualified as a ski and snowboard instructor and decided to stay there in Grindelwald. Later she went to South Africa, where she currently works as a guide. From then on it was just Tom and his Dad travelling around Europe, mostly supported by Jim's small pension. Like his mother, Tom found the purest enjoyment and satisfaction in climbing alone. Like her, he was drawn to alpine faces and the world's highest summits. He was also prolific at every other kind of climbing from mixed to dry tooling, bouldering through trad to sport. As a member of the GB Ice Climbing Team, he represented Great Britain on the UIAA Ice Climbing World Cup circuit. A creative soul, he enjoyed putting up new routes and freeing routes that had formerly been aided. In 2015 - climbing in the footsteps of his mother - Tom became the first person to solo all six major north faces of the Alps in one winter. You can read an interview with him about that on the BMC website here. 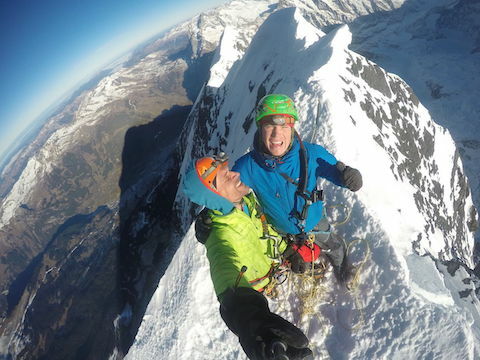 In the interview, Tom told us: "My Dad is often my climbing partner because it takes a bond deeper than mere friendship to stand in the freezing cold paying out a wet rope! Craning his neck as I swing across a glittering icicle; on an impressively overhanging wall. The world runs in circles. He supported my mother through her 'career', now he supports me." Tom was sponsored by Montane, amongst several other brands, and the Montane website reported: "Tom started on the Comici with the Constantini finish on the Cima Grande, had a windy time on the Matterhorn’s Schmid and a cold time on the Badile's Cassin. Inspired on-sighting put away the McIntyre-Colton on the Grandes Jorasses while his eight hours on the Dru’s Allain turned Chamonix heads when it turned out to be the first winter solo. Feeling more dead than alive he rounded off his sextet with perhaps the most iconic of all North faces with the 1938 route on the Eiger." At the time, Tom was mostly living in an expedition tent in a campsite in the Dolomites with his Dad, 1,300m above sea level: Jim had driven him around between the peaks. His accent was hard to place, giving the sense that he wasn't from anywhere. He was like his mum in that they both didn't say very much and had a silent determination, he said. Like her he also seemed bewildered and conflicted by the media attention and sponsorship. A 2015 article in the The Telegraph reported vividly on Tom and Jim's life in the Dolomites: "Come evening they cook simple meals of pasta and vegetables on a camping stove in a kitchen tent and occasionally use the computer in the office of the otherwise deserted campsite. He still uses his mother's old ice axes, and keeps his gear stowed in the same barrels that she used on her ill-fated K2 expedition. But he says to describe his motivations as purely a way of coming to terms with her death is too simple." That same year, a film about Tom, simply called 'Tom', won many awards including Best Mountaineering Film at Kendal Film Festival. Reinhold Messner was apparently so impressed by Tom's style and ethics that he said he'd thought that modern alpinism was moribund; now he could look forward with good heart as it was alive and well - in the guise of Tom Ballard. In 2016, aged 28, the blossoming climber proved his versatility by putting up the hardest dry-tool line to date: A Line Above the Sky at Tomorrow's World, an impressive roof on the flank of the highest peak in the Dolomites, the Marmolada. By now he had an Italian girlfriend, Stefania Pederiva, and his Facebook page had become testament to a life lived for and through climbing all over the world. “Tom was gifted. He had a special talent on rock, on ice and on skis. When he said that was what he wanted to do as a youngster I supported him all the way. So if he has perished, he did so living his life to the full and I have to use that to make sense of all this. I hang on to that idea that Alison loved so much: 'It is better to live one day as tiger than a thousand years as a sheep'. "Alison would have watched him go into mountaineering with gritted teeth”, he added, ‘But she would have been - no, she is - proud of what he has achieved. People argue what attributes make for the best mountaineer. I have no doubts. The best mountaineer is the one who climbs and has the most fun. That’s Tom." Tom Ballard has just become the first person to solo the six great north faces of the Alps in one winter season. Mountains - this very project even - seem to be in his DNA... Tom talks dealing with doubts, death, his famous mother, the selfishness of soloing, and why the mainstream media doesn't understand climbing. A memorial fund has been set up to support the young family of Sona Sherpa, a Sirdar and Climbing Sherpa with Doug Scott’s Community Action Treks, who tragically lost his life at Nanga Parbat base camp, Pakistan. In a widely reported incident, mountaineering in Pakistan's Western Karakoram and Himalaya suffered its worst setback since the effects of 9/11, when a group of terrorists massacred climbers at Nanga Parbat base camp. Anyone any idea where I can watch the docufilm about Tom? Can't seem to find it anywhere online!